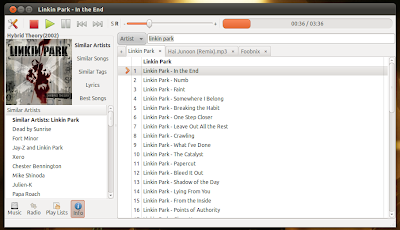 Foobnix is a lightweight music player for Linux where you can browse and play your music using a tree like structure and tabs for different folders and playlists. 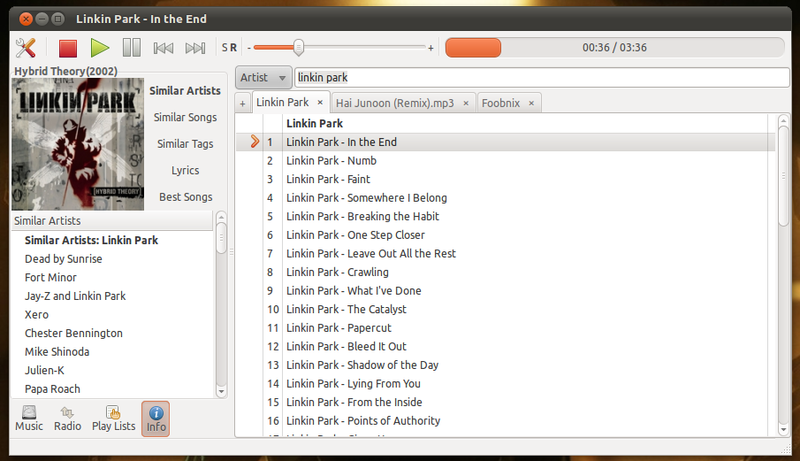 The music player comes with many features like last.fm support, lyrics display, similar artists etc. 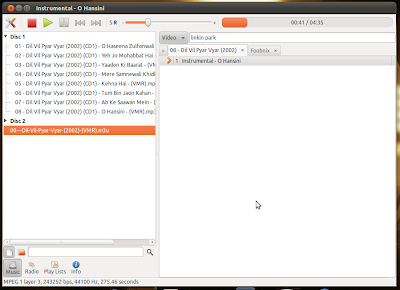 But one unique feature is its ability to play or download online music and videos from a Russian website Vkontakte. You just need to enter the name of album, artist, song etc. and it will show you the search results.